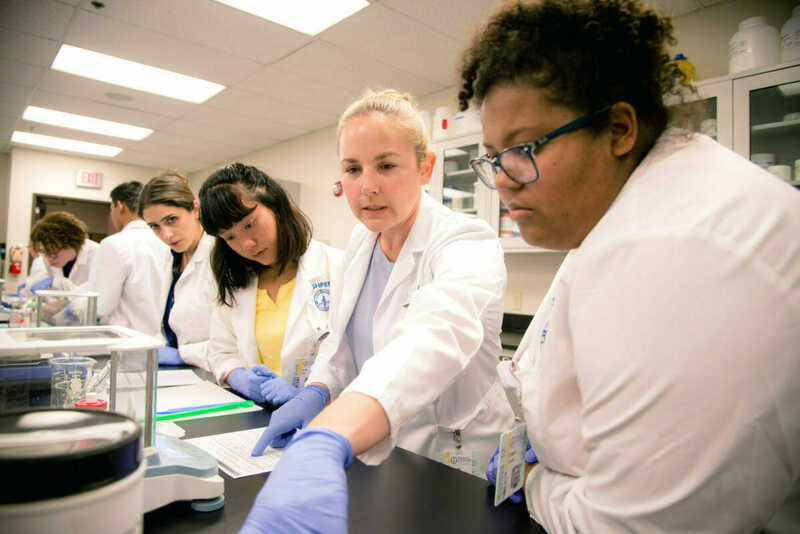 In the third and fourth years students complete seven six-week clinical rotations, plus an advanced elective clinical. WesternU is the only school of pharmacy with this special 16-week advanced elective component requirement. The advanced elective is a capstone experience that gives you advanced training in your anticipated career. For example, we’ve had students interested in opening independent pharmacies develop business plans, while others have completed ‘mini-residencies’ or conducted major research projects. With 350 rotation sites and 750 preceptors, we provide a wide range of rotation options to our students. Sites include: private hospitals, county hospitals, Veterans Administration hospitals, military hospitals, long-term-care facilities, rehabilitation hospitals, compounding pharmacies, managed care facilities, psychiatric facilities, children’s hospitals, chain drug stores, and independently-owned pharmacies. Although most students rotate through Southern California sites, some have had clinical experiences In Hawaii, Illinois, New York, Arizona, Utah and even Thailand. For more information on clinical rotation sites, feel free to contact James Scott, PharmD, Associate Dean for Experiential and Professional Affairs at (909) 469-5517.